Broadway), Mother Teresa (beatified by the Vatican in October, 2003), Lee Lehman, (wife of Robert Lehman, head of Lehman Brothers), Pierre Cardin (legendary couturier and major show-business force in Europe), and many others? Well, Tony Cointreau, a scion of the French liqueur family, can. After a successful international singing career, and several years on the Cointreau board of directors, he felt a need for something more meaningful in his life. His voice had taken him to the stage, and his heart took him to Calcutta. Tony's childhood experiences with an emotionally remote mother, an angry bullying brother, a cold and unprotective Swiss nurse, and a sexually predatory schoolteacher left him convinced that the only way to be loved is to be perfect. This led him on a lifelong quest for love and for a mother figure. Tony Cointreau is an heir of the French liqueur family. His voice took him to the stage, and his heart took him to Calcutta. After a successful international singing career and several years on the Cointreau board of directors, he felt a need for something more meaningful in his life.Tony's childhood experiences with an emotionally remote mother, an angry bullying brother, a cold and unprotective Swiss nurse, and a sexually predatory schoolteacher left him convinced that the only way to be loved is to be perfect. This led him on a lifelong quest for unconditional love and for a mother figure.His first "other mother" was the internationally acclaimed beauty Lee Lehman. Then the iconic Broadway diva Ethel Merman became his mentor and second "other mother." 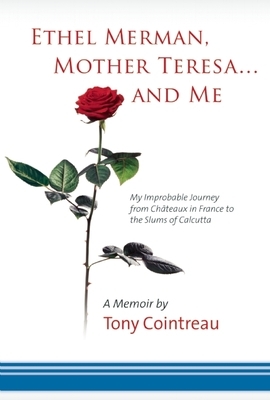 His memoir describes his close family relationships with both women, as well as his years of work and friendship with Mother Teresa, his last "other mother. "Tony believes that he had no special gifts or talents to bring to Mother Teresa's work and that if he could do it, then anyone could do it. All that really matters is a willingness to share even a small part of oneself with others.